Working holidays are becoming very popular among younger travellers who want to explore the world while making money. The income you make from the various jobs you can do on a working holiday helps make the entire adventure more manageable financially. Besides, the different jobs you do along the way also help improve your CV and prepare you for future opportunities. London is one of the best cities to have a working holiday. 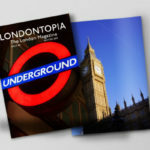 The city easily connects you with many great places across the UK and Europe. London is also the home of many great opportunities, giving you more options when it comes to the kind of jobs you want to pursue. You can even have a career started while on holiday. Here’s how you can plan for a working holiday in London. Research is a big part of the planning process and it is something you MUST do to have a successful working holiday. 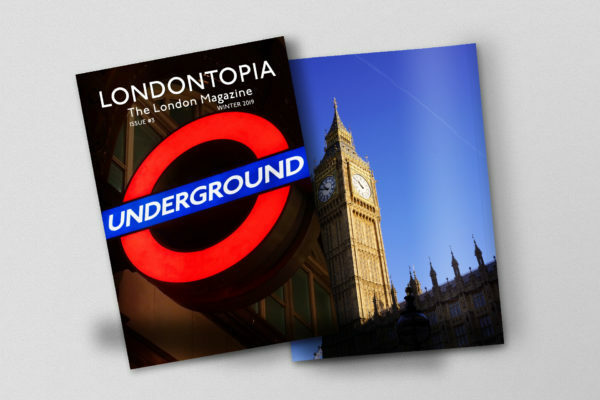 The web is filled with all the information you need about London, including where to stay and eat, how to get around London, and other details you need to understand about working and living in the city. Other resource centres and websites offer specific details like how you can get a Working Holiday Visa or WHV. Research helps you prepare for the actual trip, even before you start the planning phase. You can figure out how much you need to make in order to survive an extended trip to the UK. You can then find out the kind of jobs you can get in London and the surrounding cities. Thanks to online job sites, you can learn more about the opportunities currently available and even apply for some of them directly. By the time you start planning for the trip, you already have the information you need compiled and processed. You no longer have to do a lot of guessing, which means you don’t have to worry about things not going as planned or details completely missed during this stage of the adventure. There will be fewer (unwanted) surprises too. It is always best to have a job waiting for you in London as you start your working holiday. As mentioned before, you can apply for jobs in the city through job sites and other platforms. Even LinkedIn now lets you access jobs in different countries, including the UK. Make sure you have an up-to-date CV and an attention-grabbing CV layout to land the job of your dreams. Finding a job beforehand also lets you pursue a job you actually love. You can work in a field you’re already passionate about or pursue a career that can really boost your future. Since the market in the UK is growing, there are more opportunities for you than ever. Now is the perfect time to go on a working holiday in London. You can’t use an ordinary UK visa to work in the UK. To have a working holiday, you need a Working Holiday Visa or WHV. Fortunately, a WHV is valid for up to 24 months allowing you to leave the country – and return – without worrying about visas. It is also much easier to get these days, especially with the whole visa application process now done digitally. Keep in mind that not all countries participate in the UK Working Holiday Visa programme. You need to check your origin country’s eligibility before you can continue with your visa application. It is also necessary to declare your health status and disclose any criminal offences you may have committed in your origin country. A valid passport and other supporting documents are also needed to have a successful working holiday. You may need to bring with you certificates and other supporting documents for employment purposes. Make sure you organise these documents before the actual trip. Working in another country isn’t always a straightforward process. While you may have a university degree from your origin country and you have the skills required for the position, you don’t always qualify for the job for different reasons. There are ways to get around this problem and one of the best ones to use is getting certified for the jobs you want to do. If you want to teach English, for instance, you can get a TEFL certification before departing on your working holiday. Even when English is not your first language, a TEFL certification guarantees your ability to perform as an English teacher. Other job certifications serve the same function and will help you get better jobs during your working holiday. Some certifications are available online, so getting certified isn’t as difficult as you think. In some fields like IT, certifications are valid worldwide. There is no need to apply for a specific certification before entering the UK job market. Other certifications differ from region to region, so you may need to get the correct one or update your existing one to better suit the UK job market.